Cyclists coming to Hancock County, Indiana will mostly be traveling along roads that will take you through the beautiful rural countryside near our small communities of Cumberland (on the east side of Indianapolis), and New Palestine. If you are needing a break or want to see some of the local attractions, the town of New Palestine (population 2,000+) has several amenities. 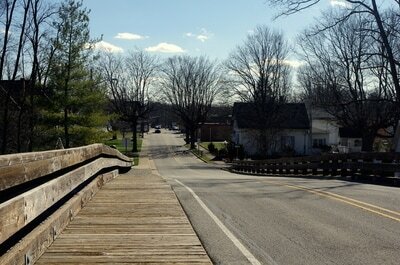 US52 runs right through the middle of town and this road bisects the USBR35 route, which travels south through the county on County Road 500 West (Gem Rd). 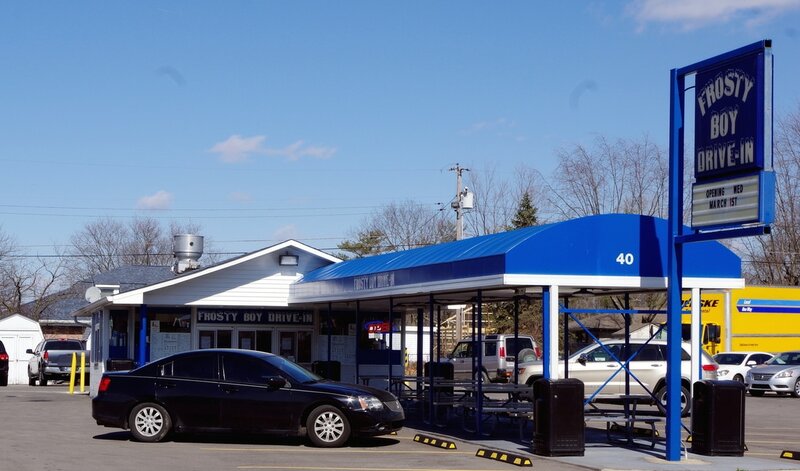 New Palestine has several eating establishments including the famous Frosty Boy that is a local favorite. There is also a grocery store, drug store, several gas stations, and a local library. 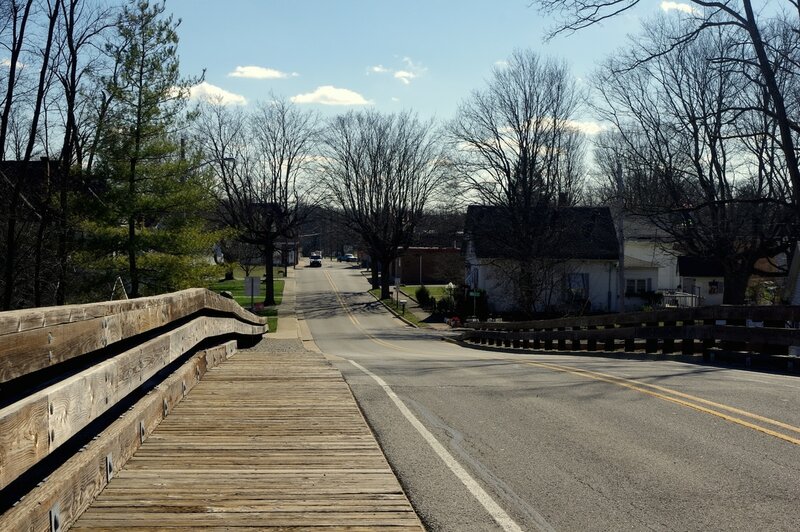 If you are interested in taking a diversion further east down US52 into town, visit the New Palestine Museum, as well as one of the only existing timber bridges in Indiana, located on Bittner Road. ​Sugar Creek Township Park is located on 700 West near 400 South (which is west of USBR35). It has a small covered pavilion and picnic tables for those wishing to eat in the open air. The town also has a large festival every summer - Summerfest, which is sponsored by the New Palestine Chamber of Commerce. 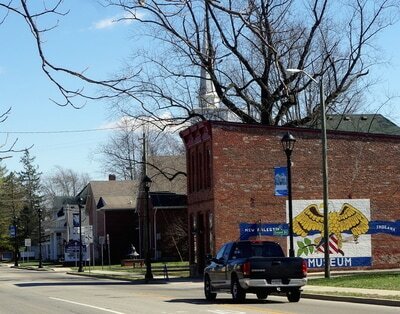 Click HERE to learn more about Hancock County.